What are the PQRS requirements? 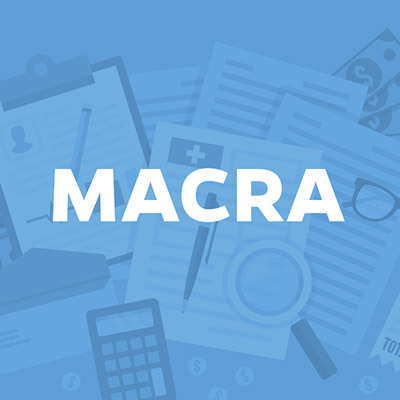 The Medicare Access and Chip Reauthorization Act of 2015 (MACRA) repealed the flawed Sustainable Growth Rate (SGR) reimbursement formula and replaced it with the new value-based reimbursement system called the Quality Payment Program (QPP). The program includes the choice between two major tracks: The Merit-based Incentive Payment System (MIPS) and the Advanced Alternative Payment Models (APMs). The Quality Payment Program essentially adopted the quality measures and reporting methods from the Physician Quality Reporting System (PQRS) and Value-Based Modifier (VBM) programs. Although there are some changes to the PQRS reporting methods, the quality reporting methods are effectively the same. The new system defines four different categories of performance, which contribute to the annual MIPS final score that ultimately determines the negative or positive adjustment to the physician’s payment. The revised reporting structure is touted to be less burdensome than the previous PQRS. The number of measures was reduced from nine to six, and none of those measures are required to be chosen from the National Quality Strategy domain. The performance period was also shortened by more than nine months. 2017 and 2018: Includes physicians, physician assistants, clinical nurse specialists, and certified registered nurse anesthetists. 2019 and beyond: It will also include physical and occupational therapists, speech-language pathologists, audiologists, nurse midwives, clinical social workers, clinical psychologists, and dietitians/nutritional professionals. Are you exempt from the eligibility requirements? What are the data submission requirements? One of the objectives of the Quality Payment Program is to consolidate all of the MIPS performance data submissions into one single efficient transmission. In order to support this effort, MIPS is expanding its current PQRS quality reporting methods, such as registry, EHR, and QCDR, to allow for reporting measures across the MIPS categories of Quality, Advanced Care Information, and Improvement Activities.